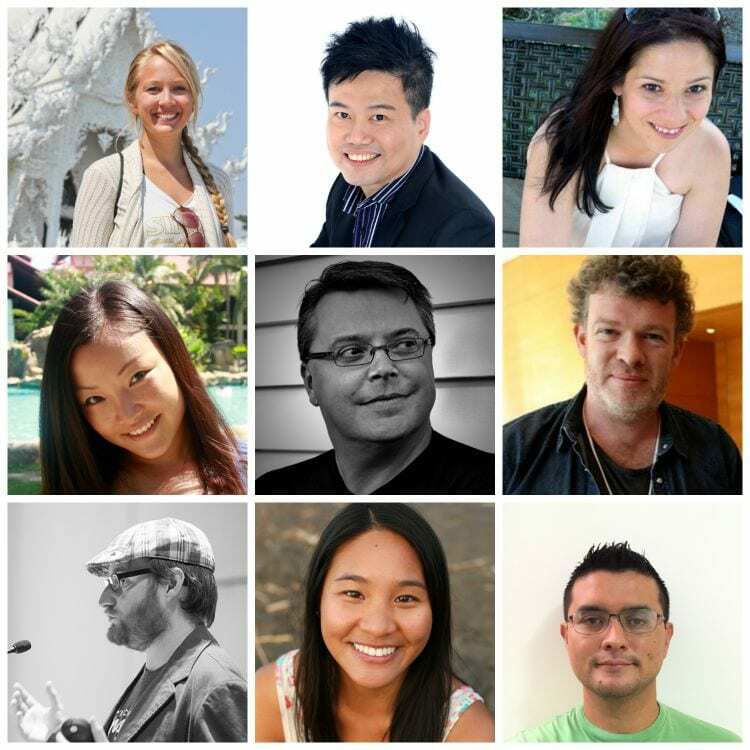 We’ve got another round up of speakers for TBEX Asia 2015 to share with you today. The program is shaping up, and we update the session page every day or so, so check regularly. Alexandra Baackes is a travel writer and blogger with a passion for sharing colorful stories and energizing images. A New York native with a background in design, she’s spent the past four years living and traveling around the world, and sharing her globetrotting tales with a loyal audience of blog readers. Alex has returned to Thailand over and over again since 2009, making it a home away from home — and thus a meaningful location for her first speaking position at TBEX. Alexandra will be speaking about brand/blogger relationships. Andrew Chow is a passionate social media and public relations strategist, entrepreneur, speaker and author of Social Media 247 and Public Relations 247. Based in Singapore, his insights into social media strategy, public relations and entrepreneurship have made him a popular speaker across Asia, His mission is to educate professionals on how to leverage social channels for tangible results. Andrew’s career of 27 years has seen him work with an array of clients including BBC, Abbot Medical Optics, Singtel and Sony Pictures. Andrew will be speaking in the Industry track on using social media for crisis management. Katie Hammel is Viator’s Senior Travel Editor. She manages the Viator blog network and Viator’s blogger ambassador program. Katie will be speaking about brand/blogger relationships. Maggie will be on a panel about the challenges and opportunities about blogging in Asia. Matt Ridings is the former CEO of SideraWorks, and is an entrepreneur, business strategist and speaker who has worked in digital on both the agency and enterprise side since 1994. He ran interactive for the marketing agency of record for such established brands as Levi’s, Cisco, and British Airways as well as the launch of ventures such as Jet Blue and RedSpark. His work over the last 10 years has focused primarily in developing innovation cultures, change management initiatives, and specialized market research. Matt will be speaking in the Industry track on market research and data. Michael Collins has worked in the travel and media industry for 15 years, working as a travel journalist, editor and publisher, In 2006 he founded TravelMedia.ie, a travel specialist PR and representation company. TravelMedia.ie work with airlines, tourist boards, travel agents, hotels and other travel suppliers in Ireland, the UK and Europe. Michael sits on the International Advisory Committee for the French Tourist Board in Paris, advising them of global trends in media, PR and tourism. Michael willbe speaking in the Industry track about how to integrate media experiences to maximize global trends. Mitch Canter is a digital strategist, WordPress developer, and web designer. He currently works for UpTrending, a Silicon Valley based web design agency. Mitch is also an internationally renowned speaker, traveling across the world to teach people about WordPress and the technologies of the web. He is also a “sometimes-podcaster”, video and text blogger, technology enthusiast, wanna-be swashbuckler and “spoony bard”. Mitch will be speaking in the Industry track about site usability. Samantha Wei is the co-founder (along with Yeison Kim) of the travel blog My Tan Feet, originally started as a way to document her expat life in Costa Rica and her travels around the country. The blog transitioned into a way to help other travelers experience Costa Rica, as well as to help expats who are considering moving the the country. The blog is now her full time job, sustaining her living expenses and travel habits. Samantha will be speaking about how to develop an affiliate program. Yeison Kim has a degree in business administration and more than ten years of tourism experience in both the field and in the office. He has mixed his passion for travel, technology, and business in co-founding the travel blog, My Tan Feet (along with Samantha Wei). The blog has now become his full time job, alongside some additional work at internet marketing, web design and consultations. Yeison will be speaking about how to develop an affiliate program. We’re still wrapping up a few remaining speaker spots and details and should have the final speaker announcement for you next week. We’re very excited about how the program is shaping up and hoping you’ll find sessions that can help you improve your craft, grow your business, create community, and meet your business goals. See you there!